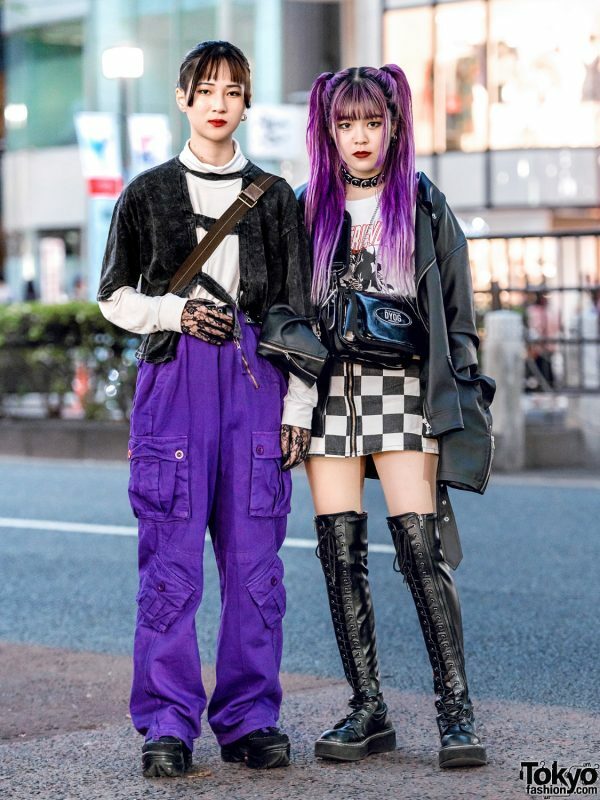 We spotted Harubo and Megumi – two stylish Japanese teenagers, who were difficult to miss with their color-coordinating purple-and-black ensembles. On the right is Megumi with long purple hair styled in twin tails. 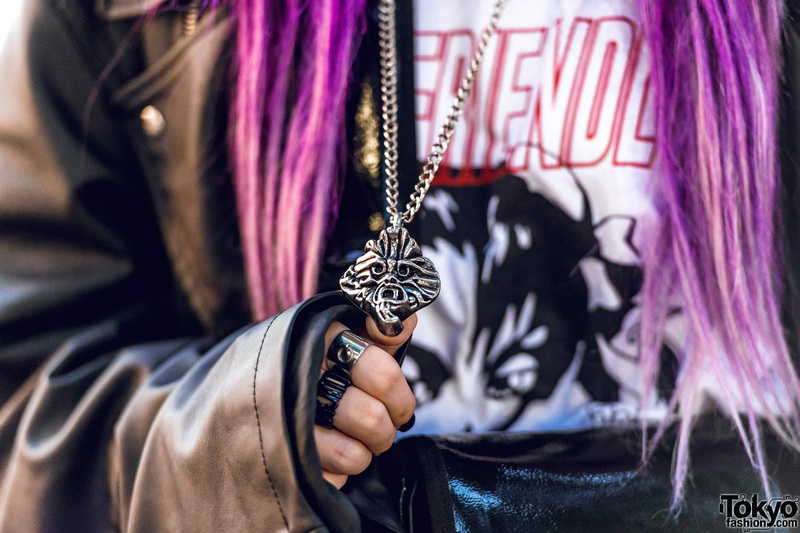 The 15-year-old wore a Never Mind the XU black leather jacket over a Crank white graphic tee. 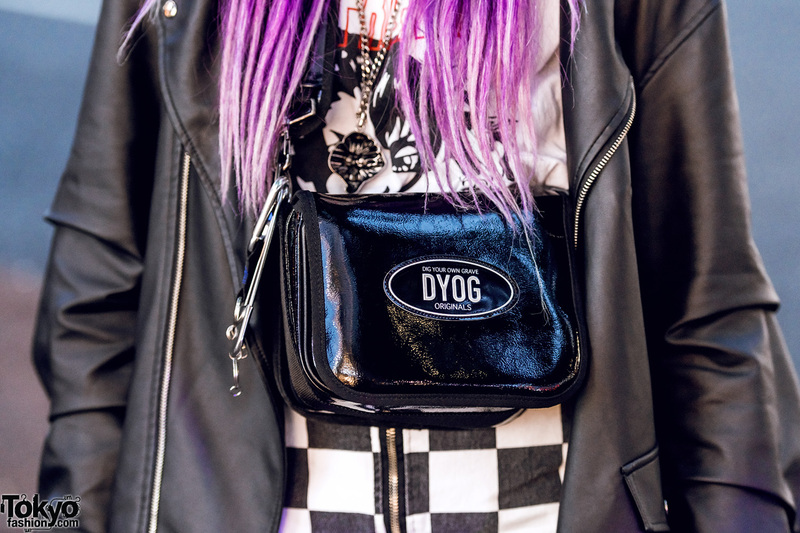 Megumi also wore a black-and-white mini skirt from Open The Door, which featured a front zip closure and a checkerboard print. 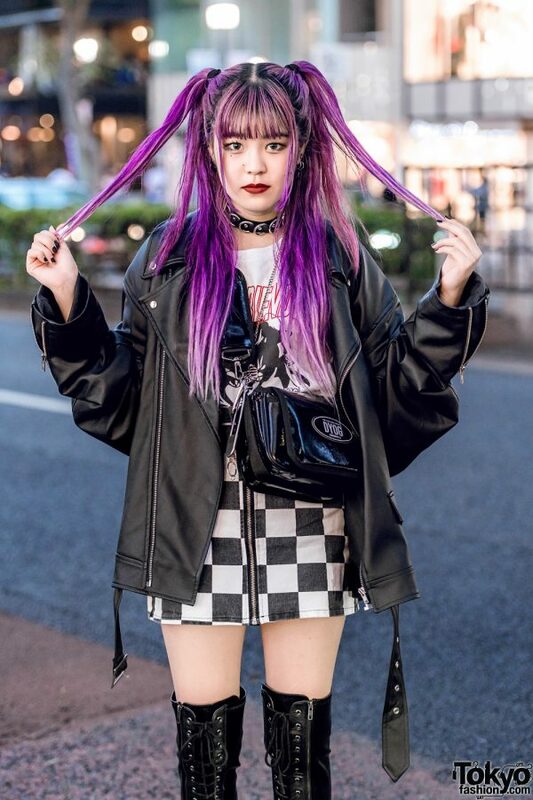 She styled them with tall black platform boots from Demonia and a black crossbody bag from DYOG. Her accessories – some of which are from Nyulycadelic, Never Mind the XU, and Warp – include a black leather choker, chunky rings, and a chain necklace. 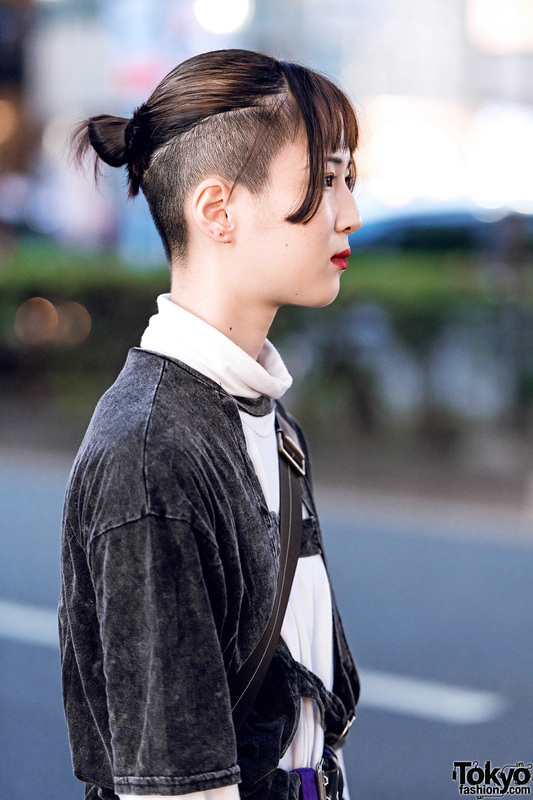 Megumi gets her style inspiration from Never Mind the XU, Open The Door, OY, and AY. 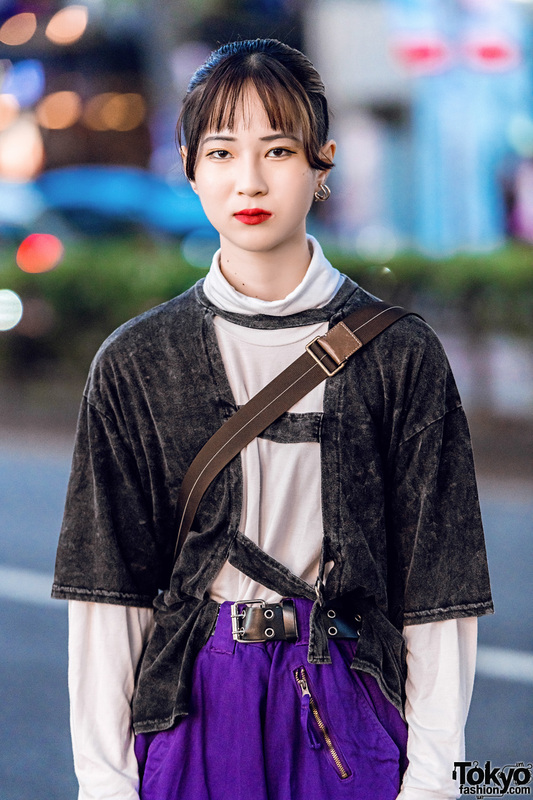 She also enjoys listening to music from Pentagon and Twice. Follow Megumi on both Instagram and Twitter to keep up with her social media updates. Meanwhile, Harubo stepped out in a black vintage jacket over a white turtleneck top from Uniqlo. 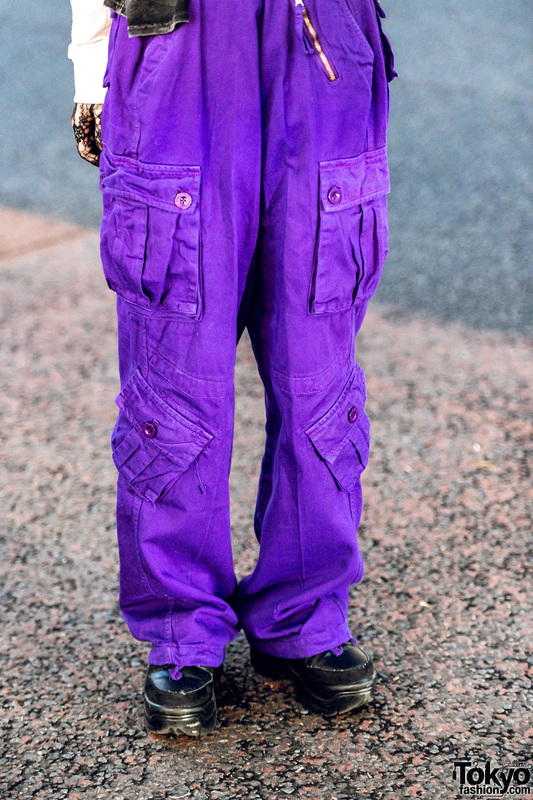 The 16-year-old student also wore bright purple pants cinched at the waist with a black grommet belt. 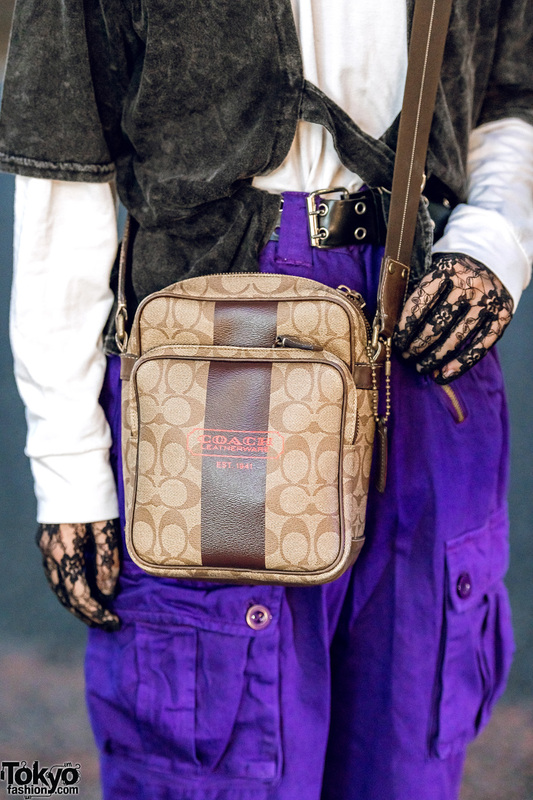 Strapped across her chest is a brown crossbody bag from Coach, and on her feet are black platform shoes from WEGO. Bright red lips, hoop earrings, and black lace gloves provided the finishing touches to her look. 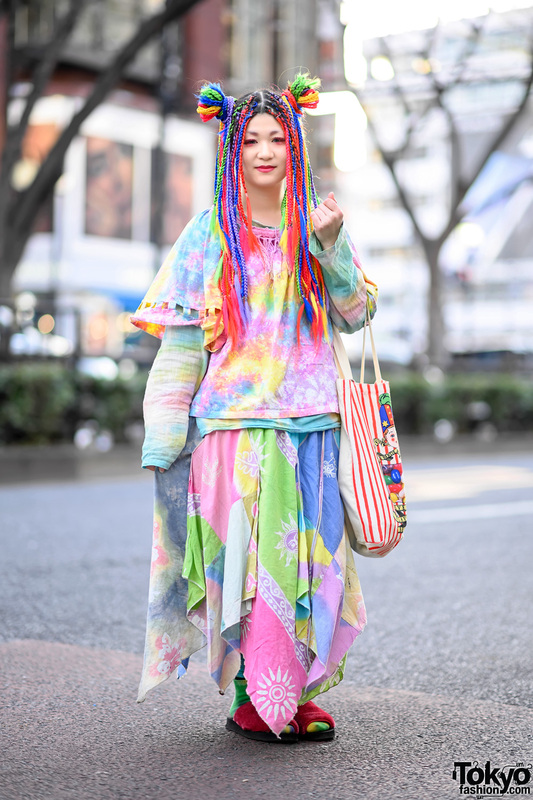 Harubo’s favorite fashion brand is UNIF, while her favorite musical artist is Black Pink. 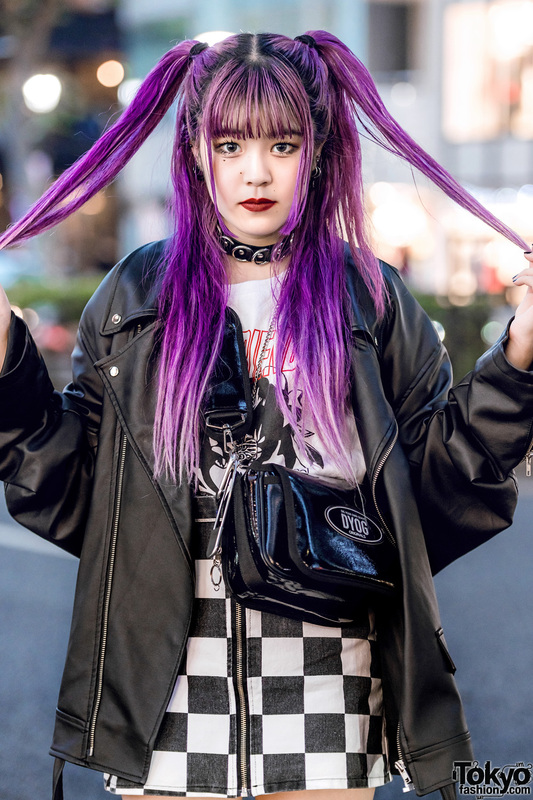 For more on Harubo, follow her on Instagram and Twitter.